Quiz: Who are Seattle's newest residents? How much do you know about Seattle’s newest residents? Where were you living one year ago? If you’re reading this in Seattle, there’s a good chance it was somewhere far away. More than 60,000 city residents — nearly one in 10 of us — moved here from outside King County within the past year. We’re the fastest-growing big city in the country right now, and all our newly arrived neighbors are reshaping Seattle. But how much do you know about them? Take our quiz and find out! Hard to believe Seattle was once losing population — but it was, during the Boeing Bust era of the 1970s. Since then, it's been nearly all growth. Complete the line in this graph of Seattle's population since 1980. Seattle passed the 700,000 population mark in 2016, meaning we've added more than 90,000 residents since the start of the decade. The only major U.S. city with a faster rate of growth in that period is Austin, Texas. But in 2016, Seattle held the top spot, growing by 3.1 percent (an increase of 21,000 people) in a single year. 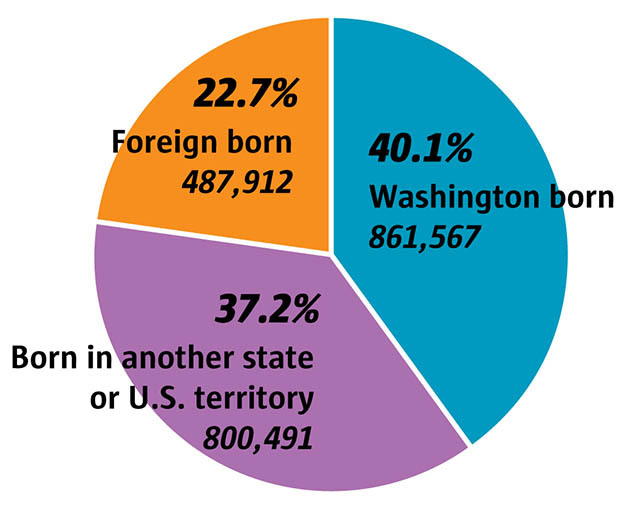 This pie represents King County's 2.15 million people, and as you can see, no one group holds a majority: native-born Washingtonians, those born in another U.S. state or the foreign-born. 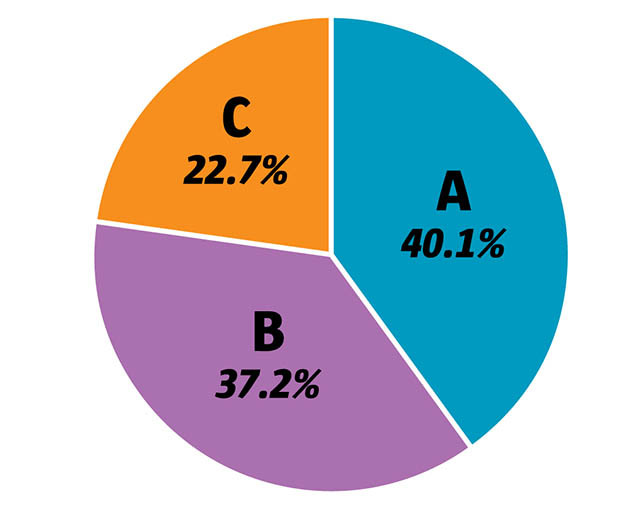 Can you pick which slice of the pie represents out-of-staters? King County residents who were born in Washington still make up the largest group, but their percentage has been shrinking. The county's foreign-born population is growing the fastest, having increased by nearly 100,000 people since 2010. Everybody knows Californians have been flooding into the Seattle area for decades. But after California, which state sent the most new residents to King County last year? Texas is the correct answer. The Lone Star State sent King County 4,727 new residents in 2016, according to driver's license records from the Department of Licensing. But if you picked Oregon, good guess! For many years, Oregon was behind California for sending us new neighbors. But in 2011, Texas surged into the No. 2 spot and has remained there since. California is still way out in front: King County picked up 16,155 folks from the Golden State last year. Not everybody's moving to Seattle — even if it seems like it sometimes! Which state sent the fewest new residents to King County last year? West Virginia expats are the loneliest in King County, with just 76 new arrivals in 2016. More folks moved here last year from Finland (123), Quebec (93) and France (88) than from the Mountain State. Read more: Newcomers arriving in record numbers, but from where? Our rents may be sky high, but that hasn't stopped young people from flocking to Seattle from around the country. Complete the line in this graph of people age 25-34 who move to Seattle from outside Washington each year. Last year, a record 19,000 people between the ages of 25 and 34 moved to Seattle from outside Washington. There are about 160,000 Seattleites in this age group — nearly one in four city residents.